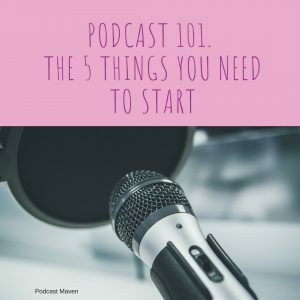 Let’s make it simple, here’s what you need to start your podcast. “I don’t know” is sometimes a valid answer to this question, get started anyway and work it out along the way. 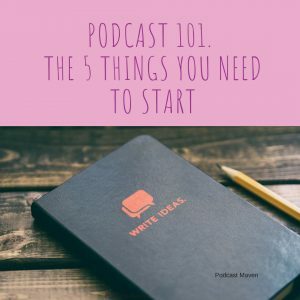 To summarise the first thing you need before you start a podcast is an idea and a plan. The second thing you will need is a microphone. Please do your homework before running out and getting the most expensive mic you can find. As a general rule condenser mics (like the Blue Yeti) these are a lot more sensitive to the noise around you. The mic pictured is a dynamic mic and I can’t talk enough about the ATR2100.